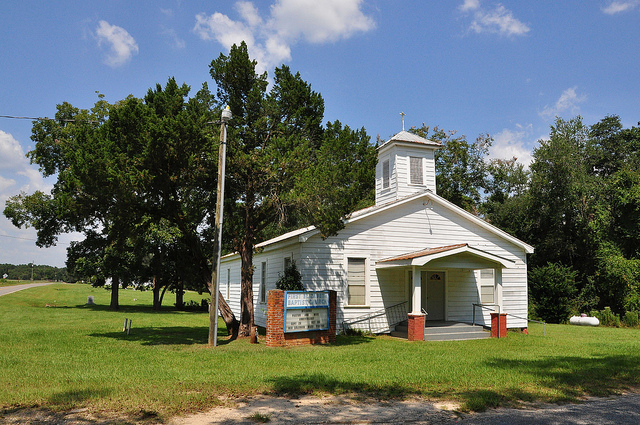 Listed on the National Register of Historic Places in August, Liberty Baptist is one of the few surviving examples of an antebellum church structure in South Georgia. Though nearby Grooverville Methodist is thought to be antebellum, as well, it’s privately owned and not listed, to my knowledge. 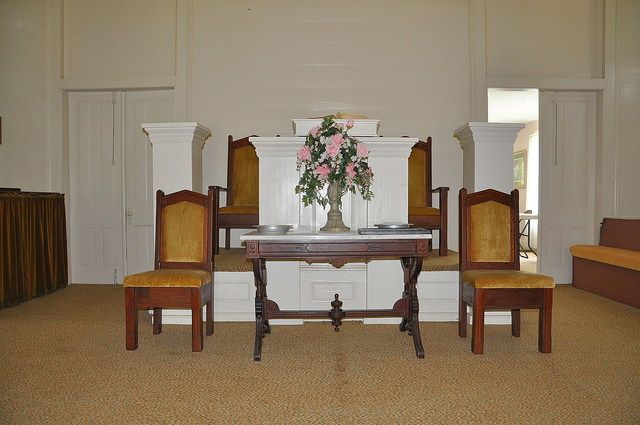 The following images show the sanctuary and slave gallery. 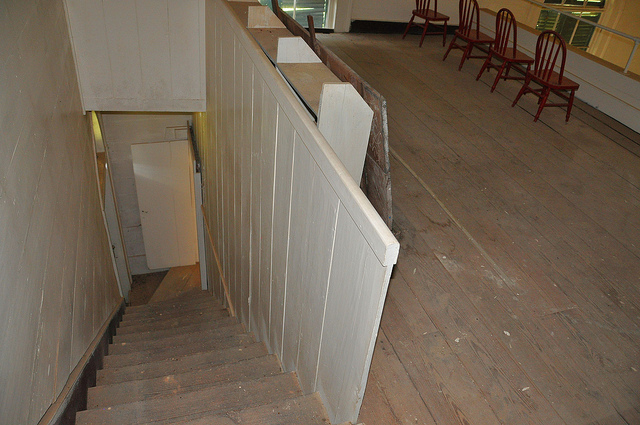 The “balcony” seen in the images above is the slave gallery. 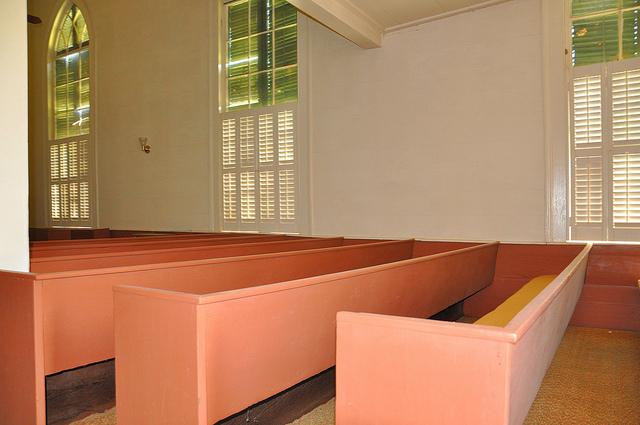 I’ve photographed several churches with slave galleries, mostly near the coast, and they are generally larger there. And finally, this historic marker placed by the Georgia Historical Commission in 1956: Between 1837-1841 the Baptists in this section were stirred on Missions, Sunday Schools and ministerial support. In 1841 the Ocklochnee anti-Missionary Baptist Assn. passed a ruling to dismiss members believing in the “new fangled institutions of the day.” Disagreeing, Sister Nancy Hagen asked for her letter from Mt. Moriah Church and, at her request, was excommunicated. With Elisha Pack Smith, R. T. Stanaland, James I. Baker, Mrs. Sarah Ann Groover, Mrs. Mary Smith, Mrs. Amanda Denmark and Sam Whitfield, she organized this church. The first pastor was Elder R. J. May. Mt. Moriah Church ceased to exist long ago. I was unable to get a better shot of this church as it’s surrounded by a fence and very aggressive dogs. It’s now privately owned, and since there has been vandalism in the area before, I understand the desire to protect it. Though on a different road, it’s virtually next door to Liberty Baptist Church. 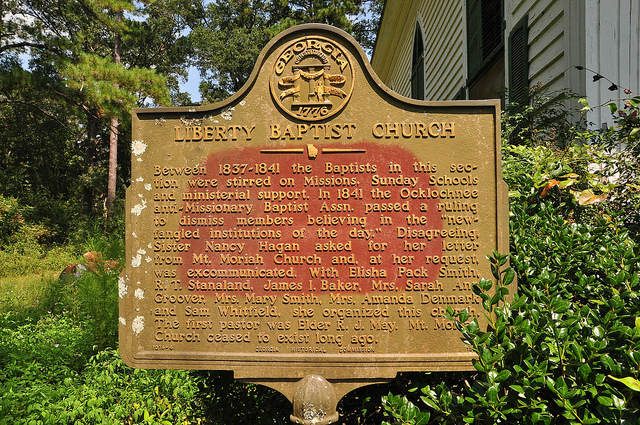 The historic marker placed by the Georgia Historical Commission in 1966 reads: This church had its beginning in 1832, on the plantation of William H. Ramsey, about 4 1/2 miles Southwest of here. There being no Methodist services in the vicinity at the time he and his family moved to this area, Mr. Ramsey built a brush arbor near his home and there held Bible study and worship services. 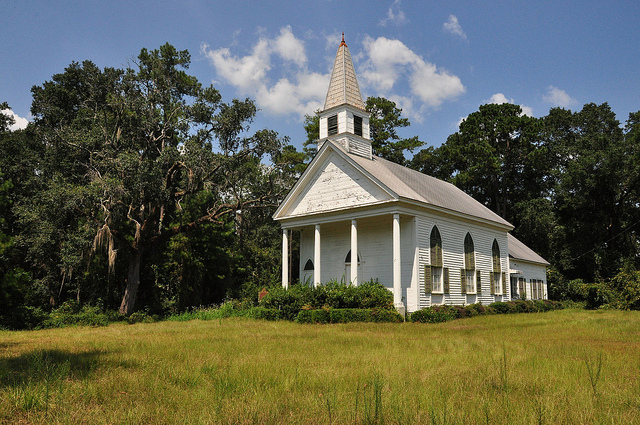 Later he joined with other Methodist families and built a log church 31/2 miles South on the road to St. Marks. 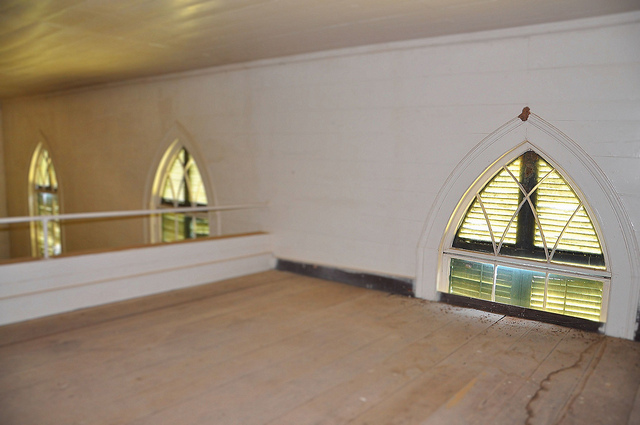 They named this church, Lebanon, and some time during the 1840s it was made a regular monthly appointment. 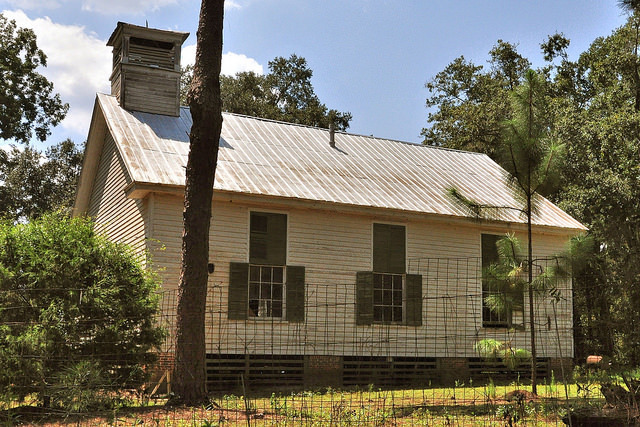 In 1856, it was decided to move the church to Grooverville, a more central location, and Malachi Groover made a deed of gift to one acre of land – the present site – to Richard Ramsey, M. W. Linton and W. R. Joiner as Trustees. 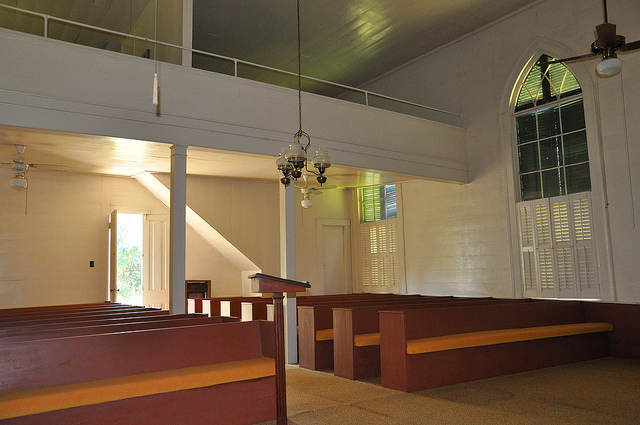 Mr. Linton sawed the lumber and the carpenters from his plantation built the church edifice. 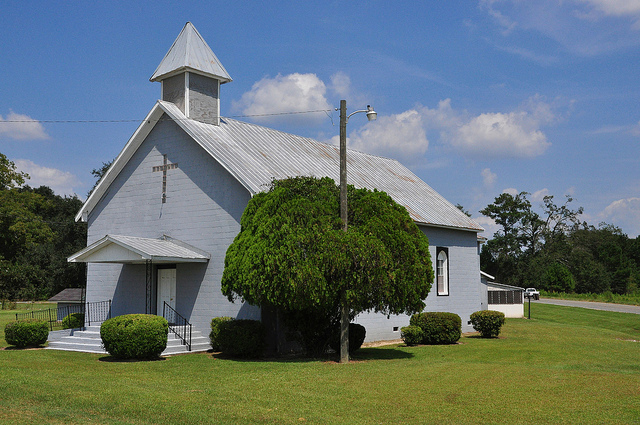 The name of the church was then changed from Lebanon to Grooverville, and it became the largest on a circuit originally composted of Grooverville, Prospect, Hickory Head and Beulah. Three grandsons of Wm. H. Ramsey, the founder of this church, became Methodist ministers in Georgia conferences. As of 2016, the dogs were removed from the property in an alleged animal hoarding/welfare case. I sincerely hope that this means good things are in store for the future of this historic structure. Thanks to Debra Horton for the identification.